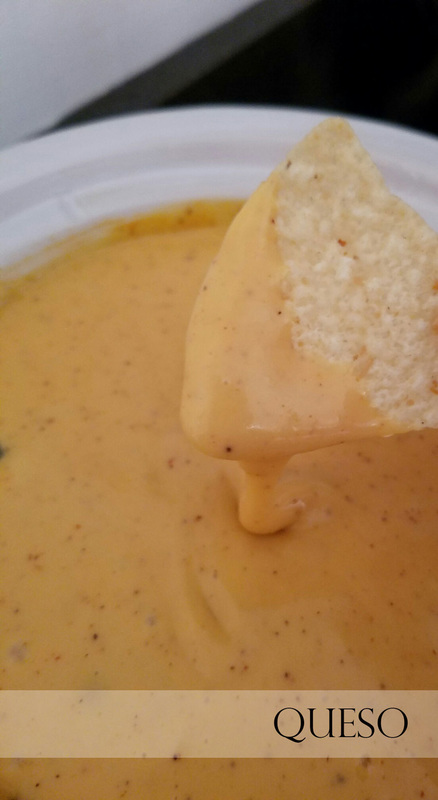 Heat the half-and-half and velveeta in a large saucepan over medium heat, stirring occasionally until the cheese has melted. Turn the heat to low and add the chipotle in adobo, chile powder, chipotle powder and garlic powder. Gradually add the Monterey jack and cheddar cheeses, stirring to combine. Transfer to a small crockpot to keep warm and creamy. Serve with tortilla chips.